I have always driven old, foreign cars. I’ve gone from a gas guzzling Volvo to a glorified Honda wind-up toy. I’m currently driving a 15 year-old BMW that I bought for its automatic windows last year. Clearly, the idea of having a new car is somewhat…well…foreign to me. 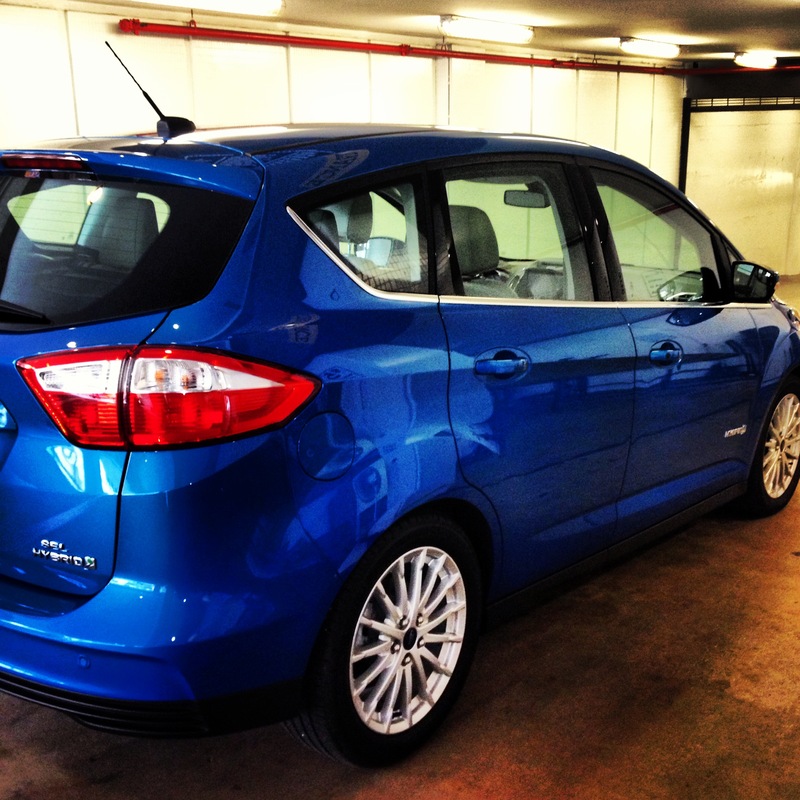 Now, when someone offers you a spanking new (and bright blue, I might add) C-Max for the week, it’s only natural to take a road trip. So last weekend, some friends and I tested out the open roads in my new car. Meet the “boo berry,” our sweet ride. The purchasing budget for the weekend was $200. Our destination – the new and improved J. 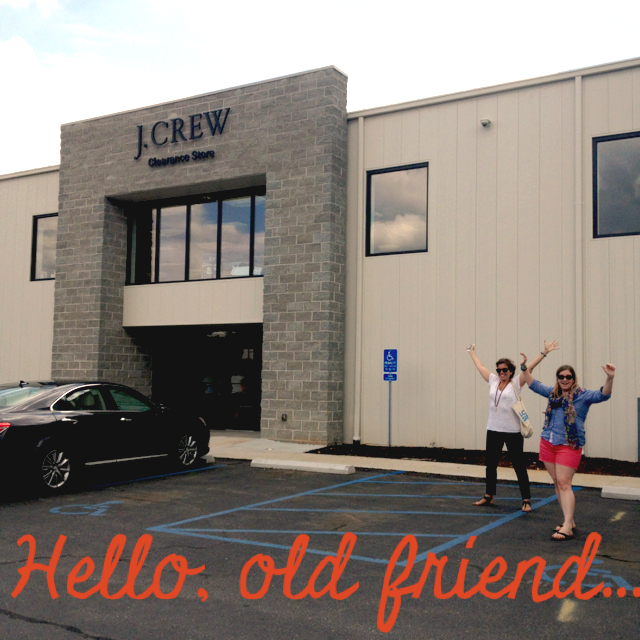 Crew outlet. The new location is twice the size, and therefore has twice the deals. Yes, please! 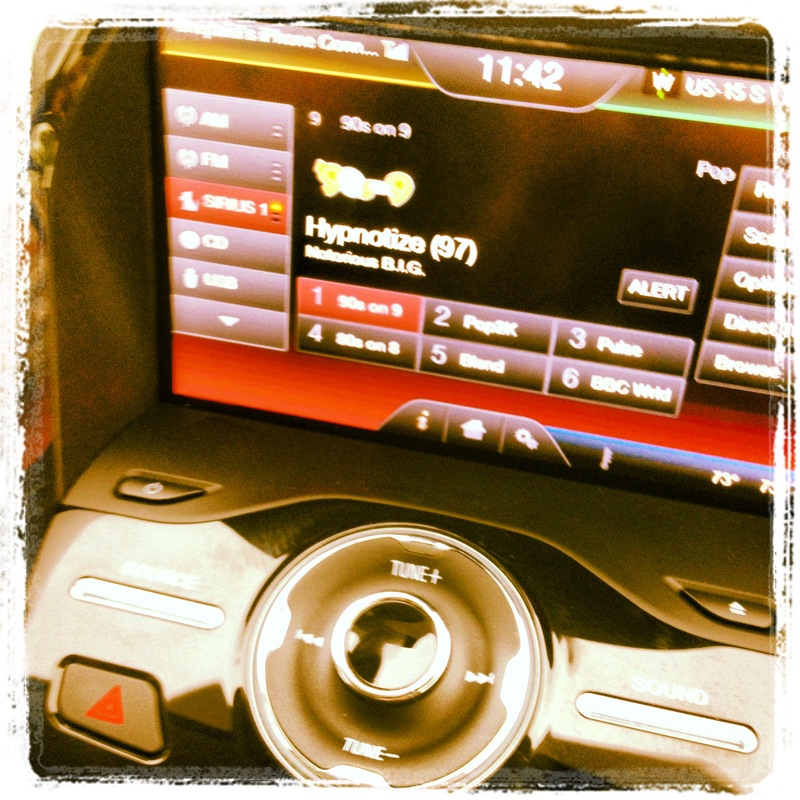 We used the Sirius satellite radio to pump ourselves up for the savings. The new store was even bigger and better than I had imagined. Yet, we each managed to stick to our respective budgets (total miracle). 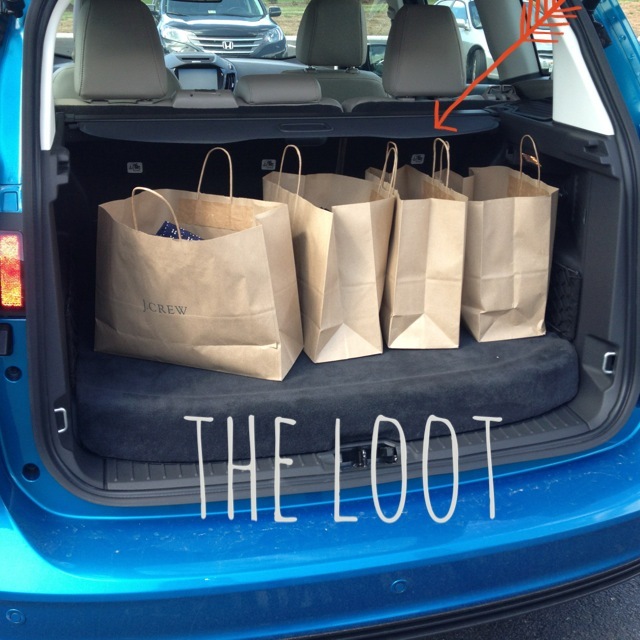 Here’s all of our loot. I got a dress, two skirts, a bracelet, a silk blouse, and a pair of pants for $148.36, approximately $52 under budget. Wahoo! I decided to use that $52 of savings to buy my groceries for the week on the way home. 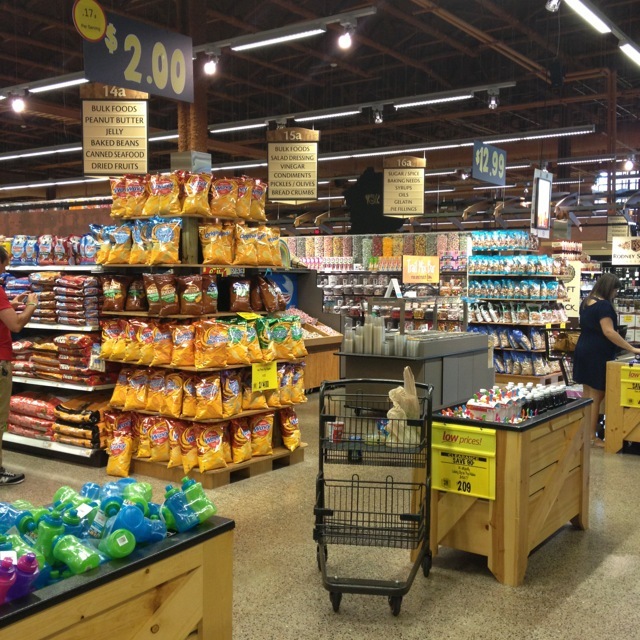 There is a Wegman’s right before you get on to 66, so we pulled in to check it out. Wegman’s is like an amusement park for people who love the grocery store (and I LOVE the grocery store). You could get lost in there, seriously. Somehow, I managed to keep it in check, and I walked out with $47 worth of groceries for the week. Total: $195.36. Not bad if I do say so myself. And, the best part is that I arrived home, after putting 400+ miles on the car, with just over a quarter tank of gas. That’s some pretty awesome gas mileage. I’m not in the market for a new car now, but I will say that driving this car made a pretty convincing argument for buying a hybrid when it’s time.